Cut the eggplant into thin slices and fry in hot oil until light brown. Clean the anchovies removing the bones and entrails. 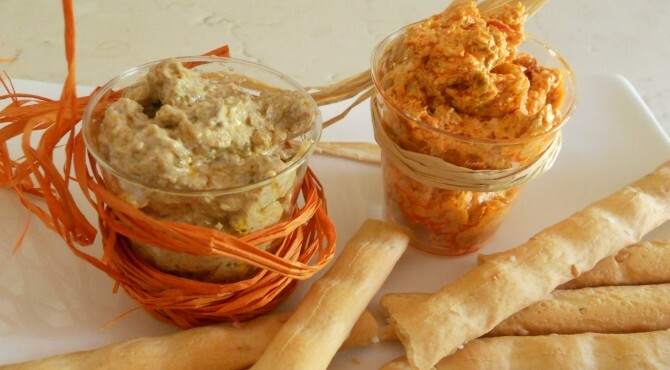 Mix the corn flour with chopped parsley, a clove of garlic, fresh ginger and sliced ​​almonds. Breaded anchovies and fry in hot oil until light brown. 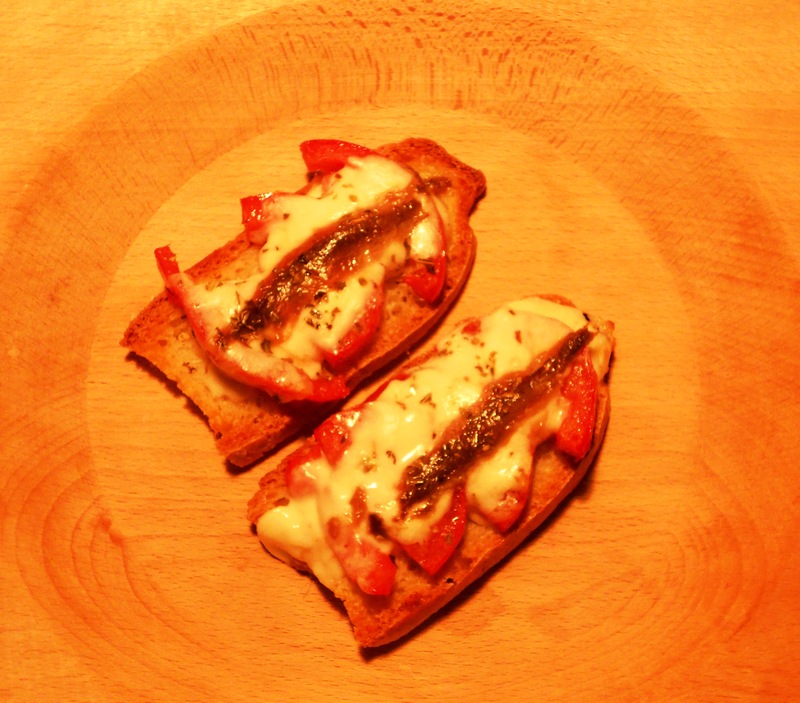 At this point you can build your appetizer: a slice of eggplant, a fillet of fried anchovies,and a slice of tomato. Serve it with a generous sprinkling of parsley. Boil the eggs. In a pan, put a tablespoon of oil and heat, add the boiled eggs, cruble with a fork. 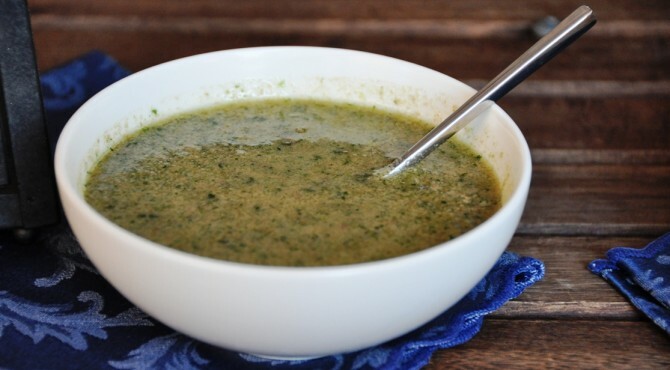 Continue to work with a whip adding the chopped parsley, anchovies and let them dissolve stretching with warm water. Cook for about 10 minutes, stirring vigorously. At the end of cooking, add chili and oil. When friends come to dinner and are waiting for the meal, you can offer them these glasses to munch on … .. The white sauce is made from capers, green olives, parsley a pinch of salt, all finely chopped and mixed with mascarpone cheese. The red sauce is made up of plenty of hot peppers, anchovies, fresh tomato, a pinch of salt. Whisk well and add to mascarpone cheese. Wash carefully the flowers. 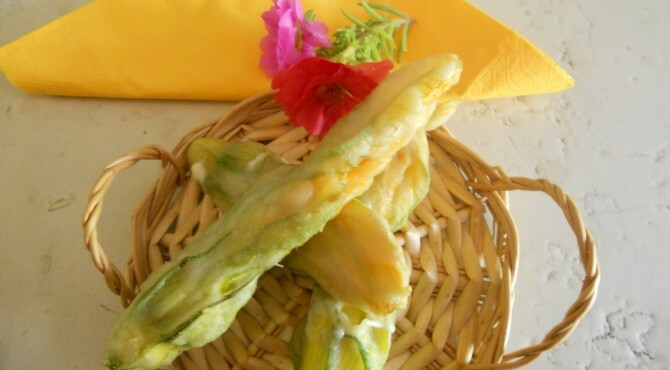 Cut the mozzarella into sticks and fill each zucchini flower with a stick of mozzarella and 1 anchovy fillet. Keep in the refrigerator for at least 1 hour. Prepare the batter with rice flour, stretched with the cold beer, until the mixture is liquid and let it rise. (If you do not use beer, put the yeast and warm water). Heat the oil in a large frying pan, and when ready, pass the flowers into the batter and fry until golden. Serve it warm with a pinch of salt.